In the end of 2015, several security experts were summing up the results and making predictions for 2016. Much has been said on the current dominant trends, as well as the immediate future of the market. We have gathered together the most interesting opinions in a single article. We will certainly get back to it in the end of 2016 in order to analyze what has come true and what has not. In the meantime, we would like to know your personal opinion: which trends do you see? Consolidation of the surveillance industry market was predicted by experts quite a long time ago, but only in the last two years it has become a real trend. Canon was the unspeakable leader of the industry from the very beginning – since it has made the largest acquisition. In 2014 Canon bought the Danish company Milestone Systems, one of the leading developers of software for video surveillance systems. The following year the board of directors of another market leader – Swedish company Axis Communications, renowned for its IP-camera – unanimously voted to accept Canon’s offer to purchase the company. As a result, Canon has combined production of equipment with software engineering, becoming the first in the US market and third company worldwide having conceded only two Chinese giants: Hikvision and Dahua. It is noteworthy that the buyer did not change a thing in the acquired companies, whose businesses have retained their complete autonomy. This trend has manifested itself in other less significant transactions, in particular the acquisition of software developer company DVTEL by FLIR Company and Vicon’s purchase of IQinVision, the manufacturer of intellectual IP-cameras. Among the reasons for the current tendency some experts name increased competition, gradual decline in the prices of equipment, excessive fragmentation of the market and some less significant factors. Other analysts point to a self-fulfilling forecast factor, considering that it should have happened one day. In this case, you can expect new mergers and acquisitions on the part of the Chinese giants, who wish to keep their sales growth. For example, recently it was reported that Hikvision Company will spend US $ 1.5 billion from the government loans for expansion in the Western markets. However, same strategy can be expected from the European and American companies creating a shield against Chinese expansion. Amidst technology trends, as usual, experts mention an increase in resolution of IP-cameras. Both the previous year, and the following in this context is no exception, as the resolution is constantly never enough. 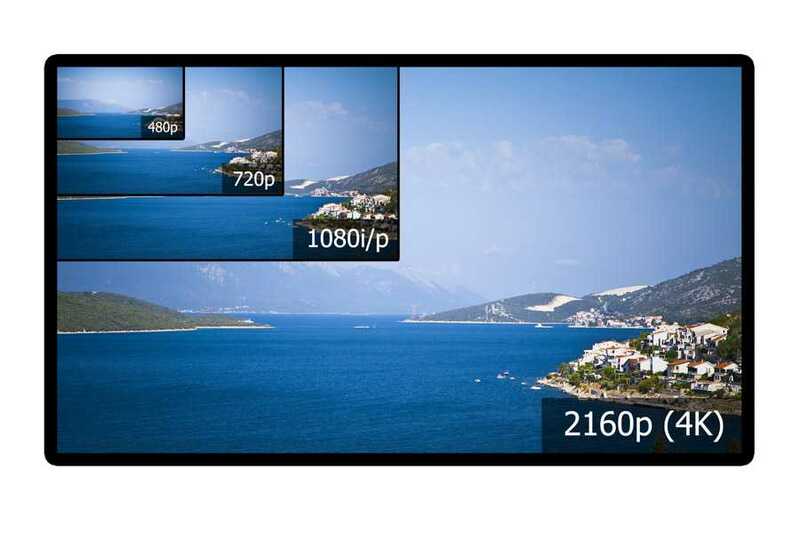 Experts mention the appearance on the market of video Ultra HD 4K format with 8-megapixel resolution. Major factors of the successful intrusion of the new format can be named big players’ promotional efforts as well as impressive preliminary standardization. Deterrents remain the same: deficiency and costliness of the high-quality optics, pretty feeble sensitivity of high-resolution matrix and significantly increased size of the video stream. Despite all this experts predict increase in popularity of the standard in 2016 and subsequent years, as the compression technologies will be further improving. In particular this applies to the new H.265 video compression standard. H.265 as the newest and very promising compression standard will be gradually introduced in IP-cameras and video recorders, but its distribution is deterred by the increased demands for computational resources. H.265 allows compressing video streams up to 50% more efficiently than the H.264 standard, and is extremely important for the increased resolution Ultra HD 4K. However, the new compression standard requires more powerful processors in IP-cameras. In addition, the requirements for NVR computing power also increases, since the decompression of compressed video streams requires additional resources. To move to the H.265 standard you will have to update all the hardware and software systems of IP-Surveillance, and that is the most significant obstacle to the rapid spread of the new standard. However, experts predict that the main impetus to the spread of H.265 standard will come not from the video surveillance market, but from the mass market consumer electronics. The emergence ofH.265 compression in smartphones and the new generation TVs will inevitably lead to a decrease in the cost of hardware codecs eventually promoting a new standard for the video surveillance compression in the market. As a result, due to its effectiveness, H.265 will sooner or later replace the H.264standard, but no one can predict when exactly this will happen. In the near future this new codec will be implemented by all the major manufacturers of IP-cameras, and finally software developers together with video recorders will catch up with H.265 maintenance. Industry experts’ opinion converge on the fact that within the next year H.264 will not be preempted because one should not expect a lot from the first H.265 implementations. 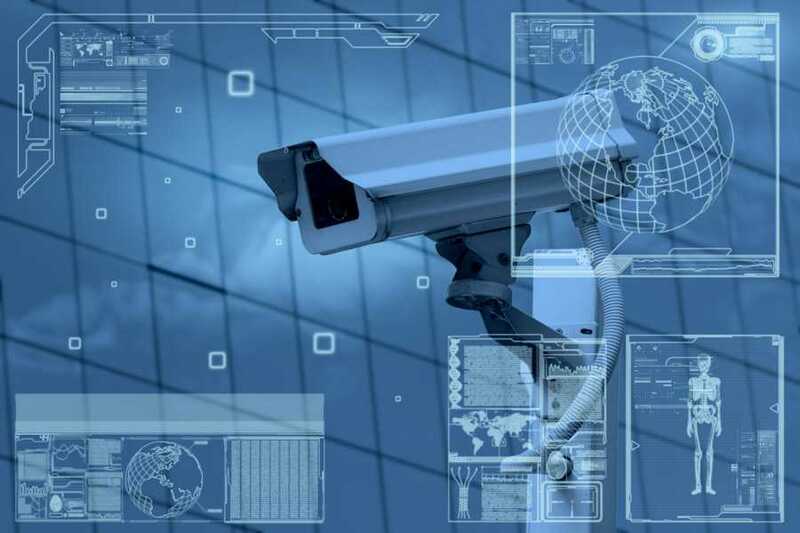 At the same time major developers of IP-cameras such as Axis Communications and Hikvision Company, continue to improve H.264 and optimize it in accordance with video surveillance tasks. Therefore, best H.264 modifications in modern IP-cameras may well appear more effective than the first implementation of H.265. Last year, many experts have noted an increased interest in panoramic IP- cameras (the so-called 180-and 360-degree video cameras). Aside from video cameras with fisheye lens, multi-sensor video cameras with multiple lenses (previously considered too exotic) have also become popular. Functionality development of panoramic video cameras achieved by introduction of the wide-angle distortion compensation options, variety of display modes such as panoramic view, ePTZ, square-ware generator, has improved usability and in the end contributed to their implementation. Panoramic video cameras are more frequently regarded by experts as a real alternative to expensive PTZ-cameras without their drawbacks. Panoramic cameras don’t have turning mechanisms subject to deterioration, unlike PTZ-video cameras, which furthermore can be turned the wrong way, – something that cannot happen with panoramic cameras, staring in all directions simultaneously. Video analytics algorithms are becoming more widely used in video surveillance systems. In fact, video analytics is now experiencing a renaissance after the failed start when the declared and expected opportunities did not meet the reality. A catalyst for the spread of video analytics algorithms has become the increased productivity of IP-cameras, allowing to fulfil intelligent algorithm autonomously in order to improve the image quality and algorithms as well as transparency of IP-cameras platforms to the third-party developers. Video analytics functions are being increasingly used not only for safety, but rather for making decisions that are not related to production problems. For example, in retail trade video analytics functions of IP-cameras are used to enhance the effectiveness the shops (counting the number of visitors, the queue length, drawing heat maps, and so on). In future there will be further spread and growth in popularity of video analytics. This will contribute to the development of open platforms and standards for video surveillance industry. Analytics prospects in traditional security are evaluated more discreetly. However, because of the continuing terrorist threat, it is expected to grow at the expense of individual recognition systems and car numbers. In the segment of analog video surveillance HD-Formats are successfully replacing analog equipment of standard resolution due to the reduction of prices, but at the same time actively compete with each other. With some delay AHD format has jumped into the battle for customers’ hearts and wallets competing with TVI and CVI formats, backed by the Chinese giants Hikvision and Dahua. However, it is rapidly reducing the gap and has already reached the HD 1080p resolution. All three competing with one another analog video transmission standards on coaxial cable promise to increase the resolution up to 3-5 megapixels in the nearest future, and to the UHD CCTV (4K) in the long-term perspective. Furthermore, the manufacturers promise to extend functionality of surveillance cameras by transmitting additional data (PTZ, setup, audio) through the same coaxial cable together with the video signal of high-definition. The result of the battle of analog HD-video surveillance standards is difficult to predict, but it is obvious that in the near future all three standards will be actively developing side by side with each other. Cloud services are gradually becoming more attractive to the industry professionals and their clients. In the meantime clouds are used to store video archives, and providing remote access to them. In general, the concept of “video surveillance as a service» (VSaaS) with a few exceptions is limited to such functionality. Additional services apart from backup storage do not enjoy any significant popularity, poorly distributed, and in most cases, customers are not aware of their existence. Implementation of cloud services is hampered due to the limited network capacity, that do not keep up with the growth of the data stream generated by modern video surveillance systems, including a growing number of cameras with Multimegapixel resolution. Therefore, the main consumers of cloud services are users of small video surveillance systems with multiple IP-cameras. Another limiting factor is simply customers’ doubts in their privacy when storing video archives, as well as a threat of information leakage – the principle concern of corporate customers. In spite of restrained acceptance of cloud services by video surveillance industry, many experts remain optimistic, since their implementation promises significant benefits, corporate customers included. Among those benefits are mentioned centralized management of video surveillance system, lower cost thanks to centralization and saving on unnecessary functions, shift from capital to operating expense, as well as lower burden on corporate IT-departments. 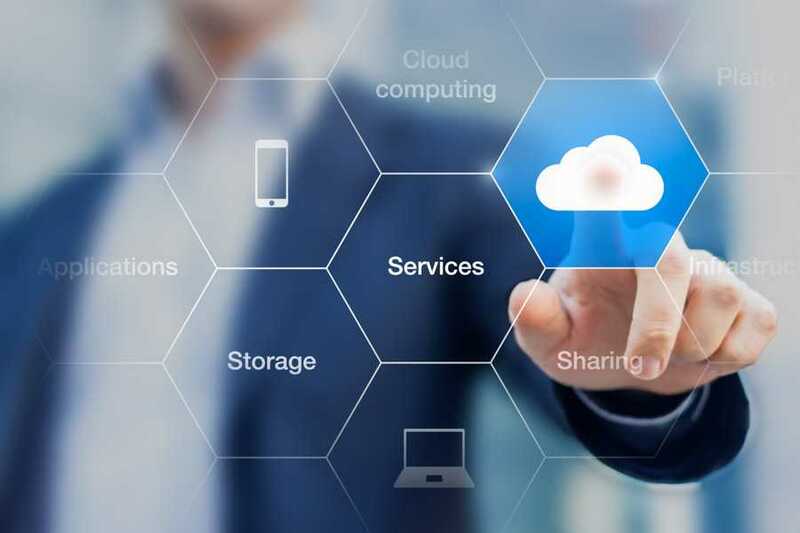 It is assumed that distribution of cloud services will become a catalyst for implementation of innovations, as it will allow us to update systems and add new functionalities. In recent years there has been a lot of talk of the internet of things. This concept was associated with serious prospects of rapid development of the market, since it perfectly fits with integrated security systems combining video surveillance functions, access control, security and fire alarm and many other functions including time tracking. But anyway, the Internet of Things is a wonderful concept, and integrated security platform based on IP protocol continue to develop and learn to interact with different types of devices from the traffic lights and barriers to water, heat and electricity meters. At the same time, due to connection of almost everything to the data network, one device can be used to solve more than just one task. For example, in the sales area IP-camera can not only keep track of cases of theft, but also helps to create a heat map of customers’ movement in order to optimize the display of goods. Yet some market analysts point to the indirect impact of the Internet of things, as the ubiquity of smartphones and tablets, with permanent Internet access, has also led to the spread of mobile clients for video surveillance systems, as well as a variety of mobile applications assisting designers of security systems.